If you could get more employees to engage with your company right now, would you do it? Or, would you hold off for however long while you wait for a new intranet release? Shockingly, only 10% of employees say they know what’s going on in their company at any given time, and 85% of employees are not engaged. 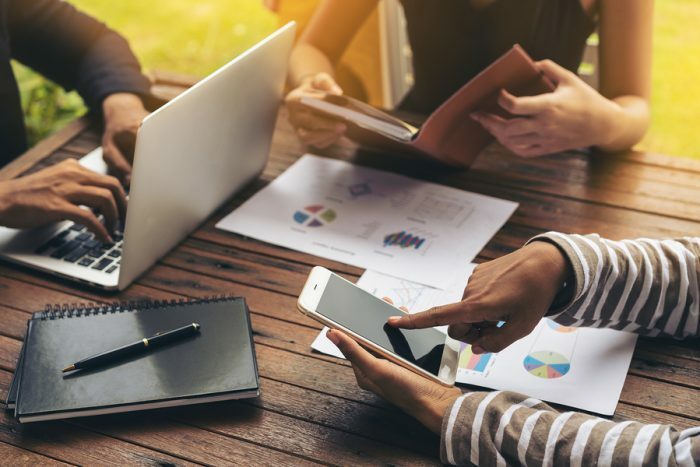 Lack of employee engagement is a rampant challenge facing organizations, yet many are overlooking a simple fix: taking a multi-channel approach to communications. For companies with intranets, it can be tempting to hold off on going mobile until a new intranet release comes out, rather than devoting resources to a communications overhaul. But intranets are far from the end-all be-all, and companies lose valuable engagement opportunities by twiddling their thumbs waiting for a new release. Instead, by meeting employees at all the places they already are – from email to mobile to tablets and other convenient platforms – organizations can instantly improve communications, which in turn impacts company performance, employee experience and productivity. Did you know that effective communication has a direct correlation to employee engagement? As any HR or communications professional will tell you, relevant information and updates are what makes people do their jobs better. Six years ago the McKinsey Global Institute estimated that by “fully implementing social technologies, companies have an opportunity to raise the productivity of interaction workers — high-skill knowledge workers, including managers and professionals — by 20 to 25 percent.” Better communication by your leadership team can inspire greater trust, simply because more people actually know what’s going on. An intranet can seem like the natural choice for distributing information. But it doesn’t surface relevant and timely stories in the way we are used to receiving information today. This is where a more modern, flexible approach comes in – easily fitting into the habits employees have already developed around consuming content. An intranet is either clunky or simply inaccessible for any employee that is almost always on a mobile phone. In addition, information contained within the intranet is often out of date, irrelevant or disorganized, making it difficult or frustrating for employees to quickly find the insights they need. What’s more, employees aren’t always sure how to access or use them. And only 25% of communicators most frequently use their company intranets to communicate with employees anyway. Platform updates can also compound existing intranet problems. With new releases, employees have to learn new features and adjust their workflows when old features are deprecated. New versions might lag behind other software you use, creating further difficulties. And, if you’ve skipped a software release, you might have to move through each version before you can upgrade it, making an already time-consuming process even more cumbersome. Suddenly, your intranet’s low adoption rate is even worse. The point is this: If no one is using the intranet, it’s the same as having no internal communications at all. Before making strides to improve your intranet, you should ask yourself: Are people actually using it? Do they even have access in the first place? If your answer to either of these questions is “no” or “unsure,” an intranet update is not going to fix your communications issues. It’s no secret that mobile use, for instance, is rampant and everywhere. Mobile internet usage is now more common than desktop usage worldwide. Desktop still holds the edge in North America, but not by much, a fact that HR and internal communicators should take into account. By giving employees access to communications however and whenever they want, they are more likely to engage. And mobile is just one place that employees already get information. Others use tablets when in the field, email at their desks, or digital signage on a warehouse floor. Sending out employee communications through multiple channels helps guarantee delivery and engagement, so you will be able to measure what content your employees care about. You’ll have new ways of evaluating what information is most relevant, what pain points must be addressed, and how to better serve customers. In this way, what you learn from leveraging multiple communications platforms can actually also help to transform your intranet into a more efficient tool. As many HR and communications professionals know, it can take years for new intranet versions to come out. Microsoft, for example, is on a three-year release cycle. But with the current pace of development, so much can change with employee engagement and satisfaction in three years. And if no one is accessing your communications during that time, you have a company-wide crisis on your hands. Check to see if all of your employees even have access to your intranet: Am I missing a large segment of my workforce? Examine readership of your content on the intranet: Are people engaging with the content on my intranet? Work across your HR and IT departments to review employee engagement and investigate how employees want to communicate: Do I need a new strategy? Sonia Fiorenza leads communications and engagement strategies for SocialChorus, a workforce communications platform for every worker from head office to the front line. Sonia has more than 20 years of experience in Corporate Communications at Fortune 500 companies across the financial services, biotechnology, and retail industries. She’s passionate about internal communications and employee engagement.